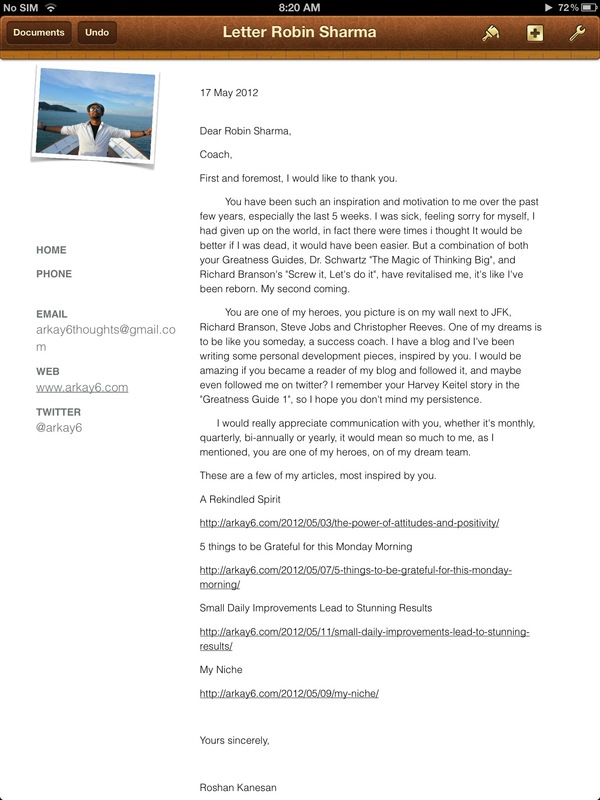 This is a letter I wrote a few weeks back, I hope that one day Robin Sharma will actually get to read it. Sent it to his fan mail site, but he gets thousands of letters. So I thought I’d share it with you guys.